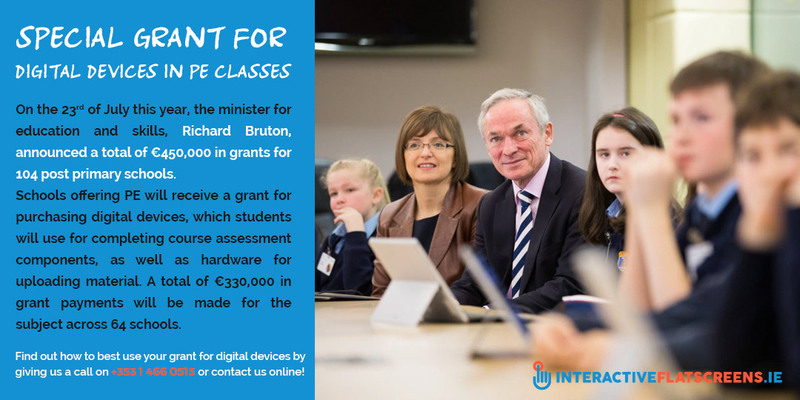 On the 23rd of July this year, the minister for education and skills, Richard Bruton, announced a total of €450,000 in grants for 104 post primary schools to support them in the introduction of Computer Science and PE as Leaving Cert. subjects. Schools offering PE will receive a grant for purchasing digital devices, which students will use for completing course assessment components, as well as hardware for uploading material. A total of €330,000 in grant payments will be made for the subject across 64 schools. Why A Grant for PE? On the face of it, it might seem that these two subjects are worlds apart. The importance of teaching Computer Science as a means to keep the system up to pace with our rapidly evolving workplace and society is obvious. But why single out PE as a subject? What special relevance does it have for today’s and tomorrow’s society? Well, if we think about it sociologically, we will realize that these subjects go hand in hand. Working in an IT environment is, for the vast majority of people, a sedentary occupation. Spending each working day behind a computer screen is not conducive to physical health. This is why IT professionals need to keep physically active and fit through sports and other activities. As the minister said, it is good for both physical and mental health. It also shows that digital devices in classrooms is the future. As a society, we need to look after ourselves and this notion should be instilled in us from an early age through PE education. The relevance of this subject becomes even clearer when we consider that it is not just the IT industry that is growing – the entire middle classes are expanding, and this means more and more people driving to and from a working environment that isn’t geared toward physical well-being. 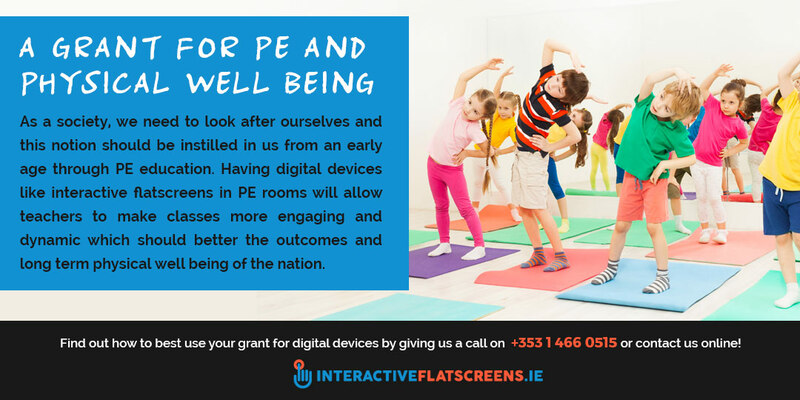 Having digital devices like interactive flatscreens in PE rooms will allow teachers to make classes more engaging and dynamic which should better the outcomes and long term physical well being. By introducing PE as a Leaving Cert. subject, students will develop an awareness of the importance of looking after themselves physically in order to be healthy in both body and mind. These grants to support the introduction of Computer Science and PE as Leaving Cert. subjects are evidence of a country looking after itself. They are an example and reminder of the importance of government in society. 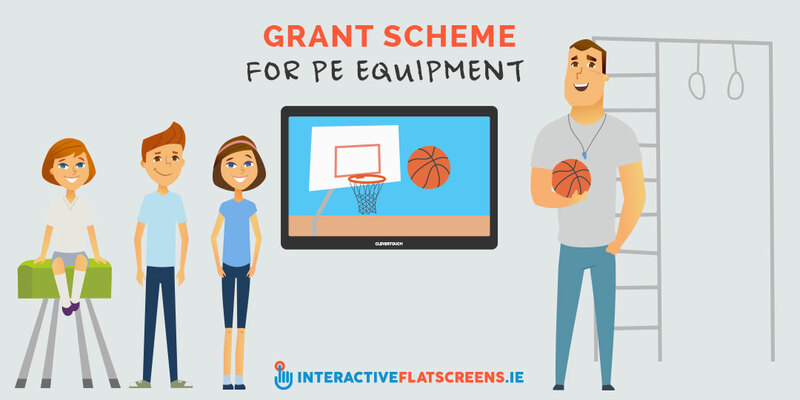 Find out how to get the most out of your grant for digital devices for PE by giving us a call on +353 1 466 0515 or contact us online!